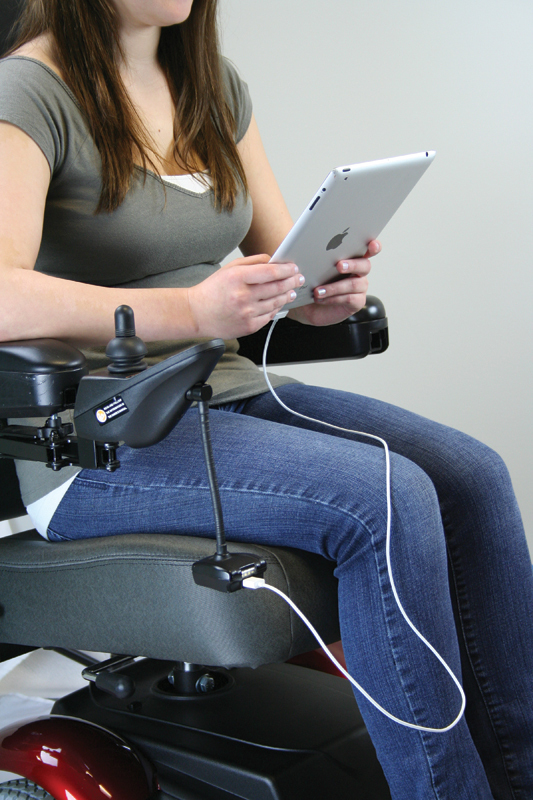 The Power Buddy is a simple accessory that plugs into the charging port of any power wheelchair or scooter and allows you to charge electronic devices! 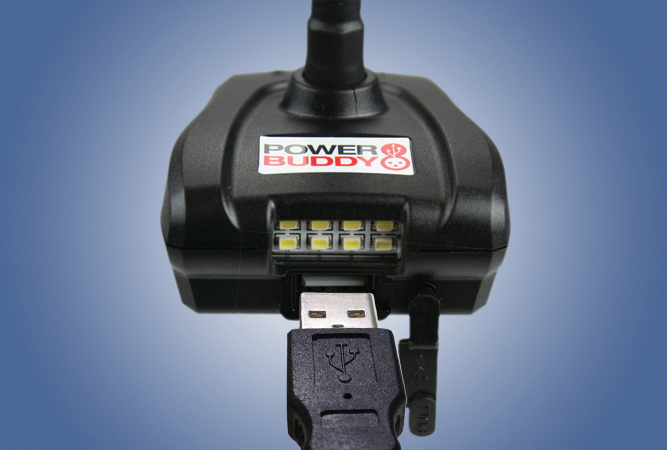 You will never have to worry about dead batteries again. Enjoy the security of always having a fully powered and functional phone. 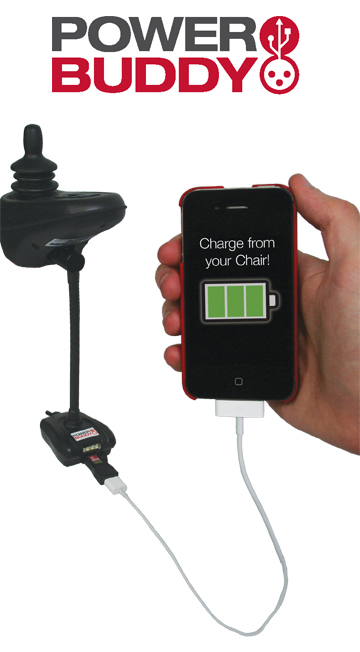 You can also charge a tablet, GPS, MP3 player or any other device without having to turn off your scooter. 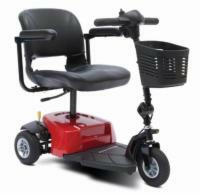 The simple and flexible swan neck design allows you to perfectly position the device to accommodate any mobility scooter and two rows of LED lights add another layer of safety!